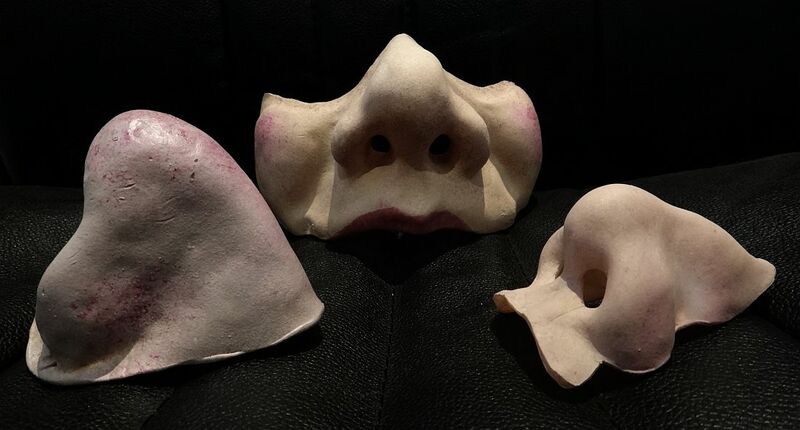 I’ve been making some “less than half” masks – some manly character noses for stage use. This one is going really quite large. 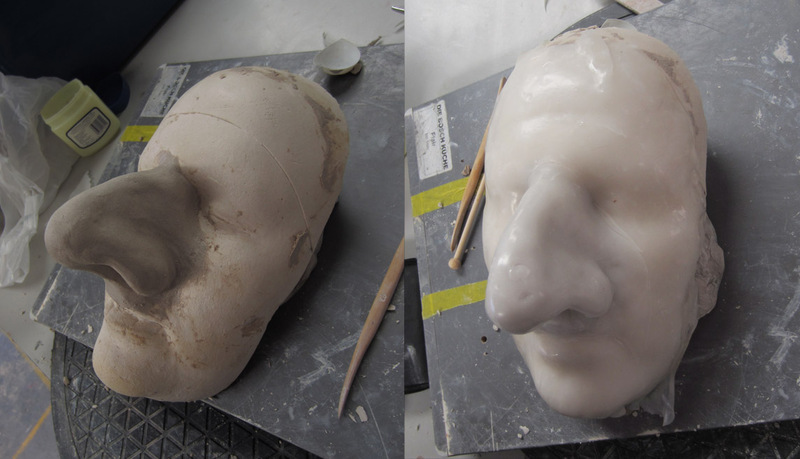 Pics here of the clay sculpt, and then after being draped in a low temperature thermoplastic – I used Instamorph, heated and rolled into sheets, then dipped in boiling water for draping. Now comes the trimming, painting and the adding of moustaches to this and other noses I’ve made in the last few days. This entry was posted in masks, sculpture and tagged clay, instamorph, mask, noses. Bookmark the permalink.